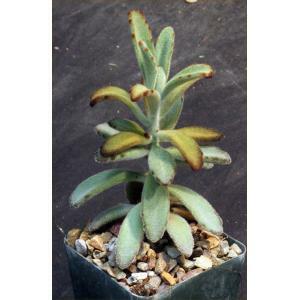 This species, from Madagascar, is a perennial with woody basal stem and nice, curled leaves. The version of this species we offer is a cultivar called "Chocolate Soldier," apparently for the chocolate brown leaf edges. 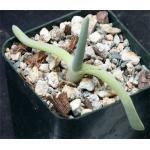 These plants are rooted cuttings in 4-inch pots.